攝影藝術 | 藝術分類類型 | 台灣當代藝術資料庫 Taiwan Contemporary Art Archives website. In the end of the 1980s, Taiwan experienced a rapid change in the society, which laid perfect groundwork for the 1990s to establish a multicultural civil society with progress in democracy. Although it has been 25 years since the lifting of Martial Law in 1987, its 38-year history still fundamentally influences the island’s economy and politics. 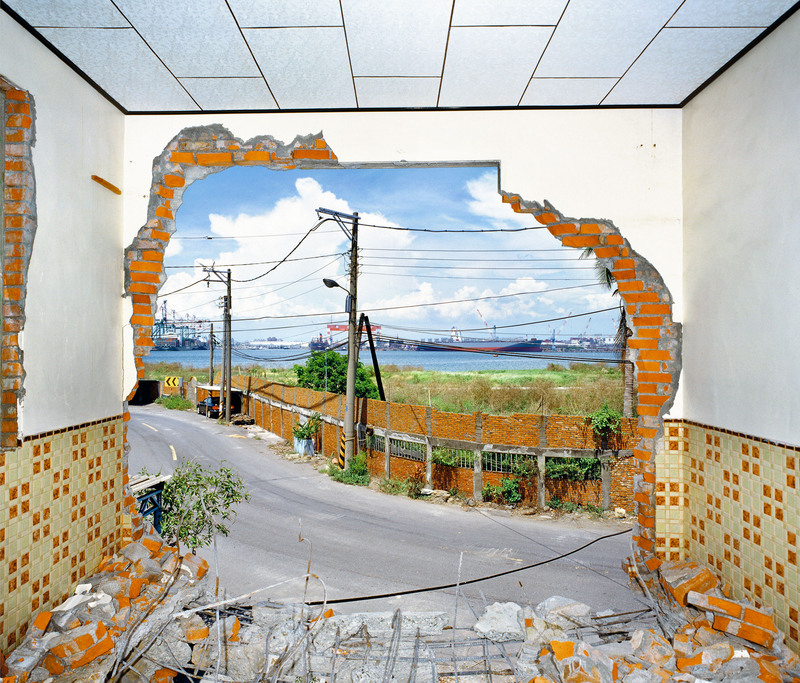 There used to be some contemporary art exhibitions covering the post-martial law Taiwan, but none of them has ever discussed how Taiwan’s photographic arts after the 1990s has developed with the social changes in its unique way. Nowadays, how people think of photography is totally different from what it used to be throughout its history. It is considered to be an artistic expression which should reveal the truth of the society with sensitivity. Since the 1990s, the development of Taiwan’s photographic arts has followed the trend of contemporary art in terms of form and content. Art and creativity were to serve the needs of the society. Photography as a way to deal with artistic concepts, including conceptual projects, performance arts, happenings, art design/strategy, or the re-visualization and reproduction of visual text. Photography featuring tableau–like single-frame image to crystalize the whole visual narrative. Photography highlighting the absence of visual dynamics and sentiments to maintain certain objective gaze. Photography adoptimg certain expression to transform the significance of the objects in real life and maintain their materiality to create an on-going discussion between the objects and the subjects/themes. Photography revealing family life and intimate relationship. The plain, straightforward, honest, and unique narrations accompanied by strong and subjective emotions are often associated with personal confession or diary. Photography has always demonstrated a documentary power to witness the events of humans’ lives. Therefore, the social realism revealed through photography offers it a crucial place in press coverage. However, as digital media becomes the most direct information source, the ordinariness and the instantaneity of photo documentary challenges photographers to search for a “new documentary” through artistic expression and documentation. As the imaging technology improves, how a photograph is processed and represented has to depend on the equipment more and more. Therefore, photographers now are more inclined to make their own decision in every step they take. It brings more attention to the substantiality and the materiality of photographic arts and makes its own response to the rapidly changing image communication. In the initial stage, the database will select 50 photographers who have been active since the 1990s from the seven genres mentioned above, including “post-modernist photography,” “staged photography,” “photography of ‘cold reality’,” “photography of objects/ raison d'etre,” “photography of private life,” “photography of the ‘moment’ – the new documentary,” and “photography of substance and material.” It will categorize the selected works based on the subjects and make a list of keywords. For most of the artists, they have an over-twenty-year artistic career and their works can never be limited to one genre. Meanwhile some of the works are the photographs of art events. Therefore, the construction of the database should be divided into works of photographers and art events. In the first stage, the database will select 50 photographers and the full documentation of 4 photographed art events as the primary examples. It will provide a careful discussion for each work as well as categorization, allowing users to do keywords searches for information about artists and artworks. On the other hands, since the database includes both digital photos and silk salt, it is also necessary to provide related information and keywords of the materials and the techniques.